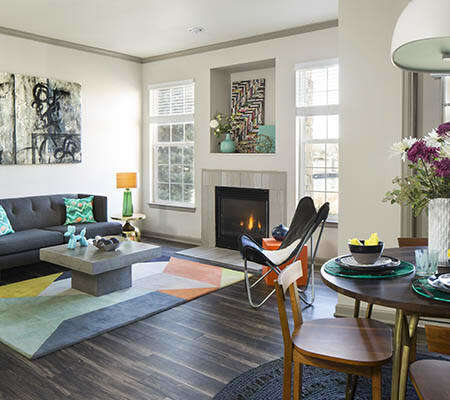 Finished with a bright and open layout, vaulted 9-foot ceilings, and hardwood-style plank flooring in select homes, your dream apartment awaits at Gateway Park Apartments. 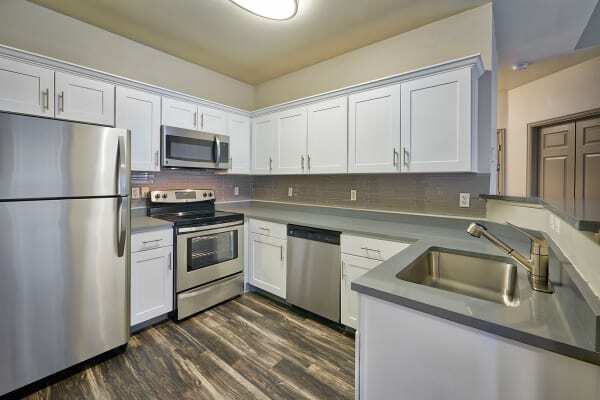 With one, two, and three bedroom apartments for rent in NE Denver, CO, in five unique floor plans that range from 705 – 1,177 sq. ft., you can choose your ideal space. Each modern living space offers a full-size in-home washer and dryer to keep your clothes clean and fresh. Weeknight chefs will love the fully equipped kitchen, featuring sleek stainless-steel appliances and a ceramic tile backsplash in select homes. If you crave outdoor space, make the most of your quaint and private balcony or patio. With convenient outdoor storage, you will have plenty of space to garden and grill. From cozy one-bedroom apartments to expansive three-bedroom living spaces for the whole family, Gateway Park Apartments has a floor plan that will hit the mark. We offer one, two, and three bedroom NE, Denver, CO, apartments for rent, near Community College of Aurora. With five unique and spacious floor plans, you can choose the garden apartment that works for you. With luxurious built-in features and high-end upgrades, you’ll be proud to call Gateway Park Apartments your new home. Five Bright and Open Floor Plans that Range from 705 – 1,177 sq. ft.
Set your sights on better living at Gateway Park Apartments. Call today to visit our NE Denver, Colorado, apartments for rent near Green Valley Ranch.